When we were living in Alamo, I created a soccer league. I was a coach and I really enjoyed it. I was a little more vocal than I thought I would be, but I got so much satisfaction in seeing the players fulfill their role well and contribute to the whole teams’ goal. At a particular game in St. George, Utah, my nephew was jazzed that I was the coach and when he heard me yelling out encouragement or guidance, he came over very close and said, “Put me in Coach. Tell me what to do, Coach.” He was so eager to take what I said and make it happen out on the field. He wasn’t on the team, but he wanted to be a part of the excitement and progress happening. This moment has never left me and has gained new meaning for me as I start a new part of my life. My nephew’s eagerness is shared by so many people. Most of us like being a part of something bigger than us, and we especially love getting guidance and encouragement as we strive to become better. I recently started a group on Facebook called Holistic Health Squad. It is something I am enjoying far more than I expected. Maybe it is the fact that only some of my closest friends and family are in the group, so I feel permission to be myself. Maybe it is the fact that I have made a solid no nonsense goal to be healthy or a real love of encouraging others while feeling accountable, that makes this process of being a “coach” wonderful. Despite the reason, it is filling my bucket in a wonderful way. I started Holistic Health Group because I signed up to be a wellness coach through Beachbody. I know that Beachbody is just one of many fitness programs that are available, but it has worked well for me. I am more concerned that people have a plan than if they specifically join Beachbody. I am simply offering something that works well for me, and I believe could help others. The only thing that qualifies me to be a coach is that I am committed to change, have tried it for myself, and I want to help others feel good. Just like my days as a soccer coach, I am excited to see people fulfill their roles well and contribute to the overall goals in their personal spheres. I will share a little bit of my journey with you, so you understand why I am doing this. I have been struggling with mental health for the past year or so. It has been a true challenge and it has impacted many facets of my life: family, work, physical health and more. I began seeing a therapist, and I started my journey towards overall good health. One of the suggestions that my therapist gave me was to exercise and eat well. This is a simple suggestion, but for me, the changes I needed to make felt overwhelming. I decided I had the desire to make needed changes in my diet and in my fitness routine and began seeking a program I could commit to. I started to participate in a health and fitness group through Beachbody on Demand that my roommate from college was doing. I have been doing it for months now, and I have been truly impressed, despite my apprehensions and skepticism. Since I started to eat better, drink a shake full of dense nutrition daily and exercise regularly, the results have been so positive! I feel accomplished for sticking to my personal goals. I feel mentally better. I suffer from serious premenstrual syndrome (PMS), anxiety and depression, and when I am exercising, eating well and drinking my shake, my mood swings and overall mental state is less extreme. I still get irritated and down at times, but my symptoms have decreased. This has been a blessing to me and my family! I have enjoyed the support of other people who care about taking care of themselves and meeting their personal goals. I have started to see diet and exercise as much more than a way to “look good”. It is a way to feel good in every way! When I first joined, I simply wanted to be able to feel more comfortable in my clothes and in my own skin. Cody and I are going to celebrate our ten year anniversary in 2018, and I am determined to feel strong and confident in my body when we go on a special trip to celebrate our marriage. Initially this was my only why, but now it has turned into much more. I can see how this lifestyle change can enhance every part of my life. Why would you want to join a health and fitness group? I want to know your why and help you use it to get results. Hundreds of high-quality workouts that can be streamed anywhere. As a mother of young children, getting to a gym is difficult. Before I started, I wasn’t sure I could commit to using the resources if I wasn’t around a bunch of other people, but I have loved being able to workout whenever I choose. I am not tied down to working out at a certain time of day. I have honestly worked out at nearly every part of the day, including very late at night. If you do not want to have to pay for a gym membership, but would like highly quality instructors and workouts, this program is stellar. I have loved seeing people of every size, shape and color in the workout videos, and the instructors don’t bother me, which is not always the case. The instructors are genuine and, of course, they are proof that this system works. A month’s worth of Shakeology. Shakeology tastes good and is full of the nutrients that most of us simply don’t get in our regular diet. I have not gotten tired of it and it is easy to make and drink. There are lots of recipes to help you with variety in flavors and it can truly replace a meal. I drive about 30 minutes to work two times a week and the shake replaces lunch for me on those days. A Nutrition Plan. There are plenty of workout programs you can get anywhere, but they rarely come with a nutrition plan! So cool. The nutrition plan comes with containers to help you take the guesswork out of how much and what to eat. I have found that at first I needed the containers, but after awhile what and how much to eat was more intuitive. Whether you only need to use it at first and then transition, or if you want to always use it, the nutrition plans come with recipes and resources to help you eat healthy. Eating is such a huge part of feeling good. I believe that food is medicine, and that food has different degrees of light and as we fill our bodies with more light, the better we will feel. Support and Focus. I love this part of the program. You will join a group of people that have similar goals as you, and they can inspire you when you want to give up. I have been so impressed with the people that I have interacted with in my current group. There are so many that make their health a priority and they are the kind of people I want to be like. 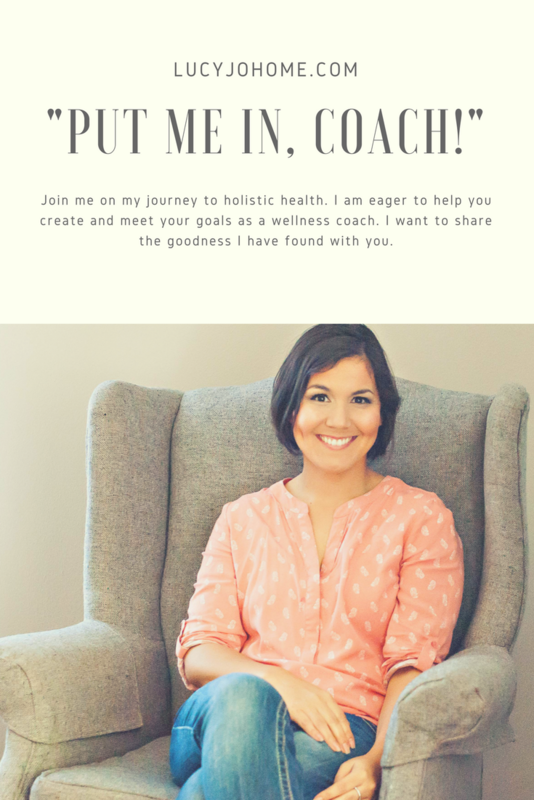 You will also have me, your “coach” –someone to ask questions and get personalized support from. I will also be leading focussed challenges that you can participate in. We reap what we sow. Another reason I love this program is that they never claim any quick or unrealistic results. My goal is to help you overcome the obstacles that are keeping you from making the changes that will make your life better. These kind of changes require self-discipline, personal development and dedication. I LOVE that these hard things are required because that means the results are going to match your commitment! You can do hard things! If you are interested in joining me, please let me know and I can answer your questions, get you more information or simply get you started on your journey to health and wellness. Thank you for listening for awhile. I hope that some of you will join me! If you simply want to be a part of the Facebook group, just let me know and I can add you. It is a positive place! Cost: I spend money on a lot of things, but I can tell you that the returns on my purchases are not the same. This program can change your life for good and your investment will only motivate you more. When you compare gym memberships prices, you are getting more for less. Time commitment: I love that most of the workouts are only 30 minutes long and you can filter the workouts by time, fitness level, type and trainer. There truly is something for everyone: dance, yoga, weight lifting, cardio, pilates and more. If you have children, I totally understand your apprehension. I thought for sure that I would not be able to incorporate a workout into my day, but my children are now used to me working out. They sometimes participate in their own way or they watch me. How cool is it for our children to see us dedicate time to being healthy and strong? Failure: What if you don’t follow through? Every person on the planet fails. Remember that it is not our failure that defines success, it is what you do after you fail. As your coach, I am here to help you find ways to overcome your fears and your stumbling blocks. Please let me help you make the changes you want to make!